Monsoon comes as a welcome break from the excruciating summer heat but the accompanying humidity is known to play havoc with skin. Monsoon comes as a welcome break from the excruciating summer heat but the accompanying humidity is known to play havoc with skin. From applying a moisturising lotion immediately after bath to taking a shower in lukewarm water are some of the tips that can help in achieving flawless skin during monsoon. Usually it gets difficult to predict how the skin will behave in monsoon, therefore making it difficult to follow a set skin care routine. 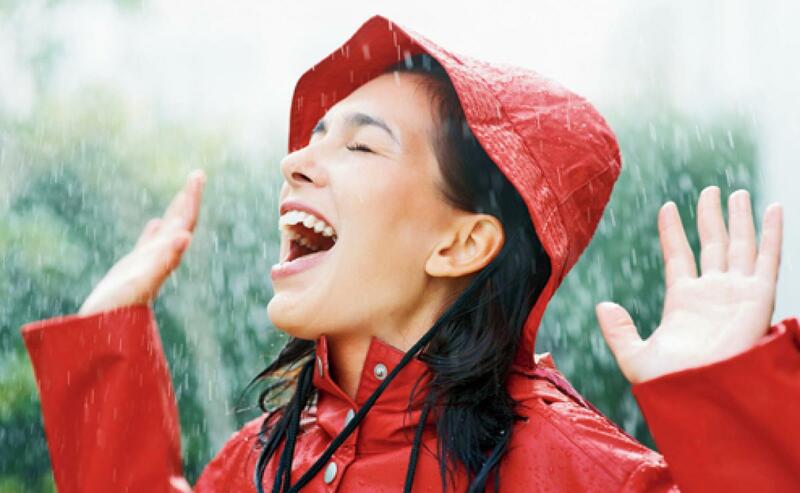 Aparna Santhanam, skincare expert of Unilever, shares some tips to help your skin enjoy the rain without harming it. There is a belief that monsoon skin problems are due to sweating. While this does cause problems, fluctuating humidity is also likely to cause sporadic and patchy dryness on the skin. Further, although one cannot see the sun, the ultraviolet rays penetrate through cloud covers and continue inflicting damage on unprotected skin. It is therefore imperative to use moisturizing lotion with SPF properties even in the monsoon. In most places in India, the downpours alternate with dry days. This fluctuating humidity affects the body's ability to retain moisture consistently and effectively. Using a lightweight lotion based moisturizer helps skin retain its natural moisture and nourishes it from deep within. - You may be tempted to take a cold shower to beat the heat. But you must not do it as much as possible in the monsoon and opt for lukewarm showers to not strip moisture from the skin. - As a hot shower strips your skin of moisture, applying a moisturising lotion immediately after bath works well for your skin. - Use an antifungal dusting powder in between your toes and in the folds of your skin to prevent sweating and fungal infections. Feet need special care in the monsoons as they are most prone to damage. - Sunscreen is a must for all skin types. One must use a light textured sunscreen that is double blocking with a minimum SPF of 15, depending on your comfort level. Using a sunscreen is also easier as you do not sweat as much and hence, your skin can get maximum benefits from these procedures. So make sure you follow these simple steps that will ensure you glow your way through the most dull and gloomy days of the year!